Home / News / ASUU Begins Indefinite Strike Today The 14th Of August! ASUU Begins Indefinite Strike Today The 14th Of August! 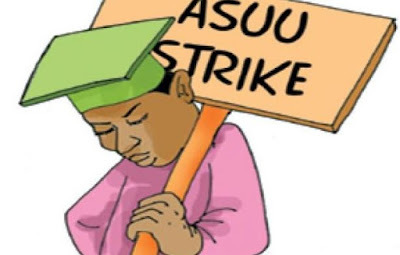 The Academic Staff Union of Universities ASUU, has embarked on an indefinite strike starting from today being the 14th of August. 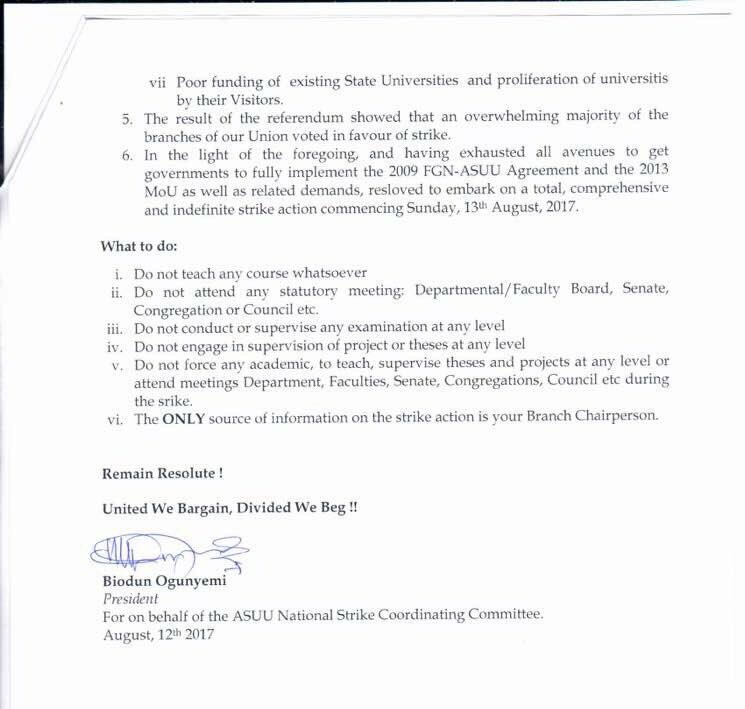 Biodun Ogunyemi who is the President of the academic union, announced this in a memo to lecturers dated August 12th, 2017. According to the memo, the union is proceeding on an indefinite strike because of the federal government's failure to implement its 2009 agreement and 2013 memorandum of understanding (MoU). 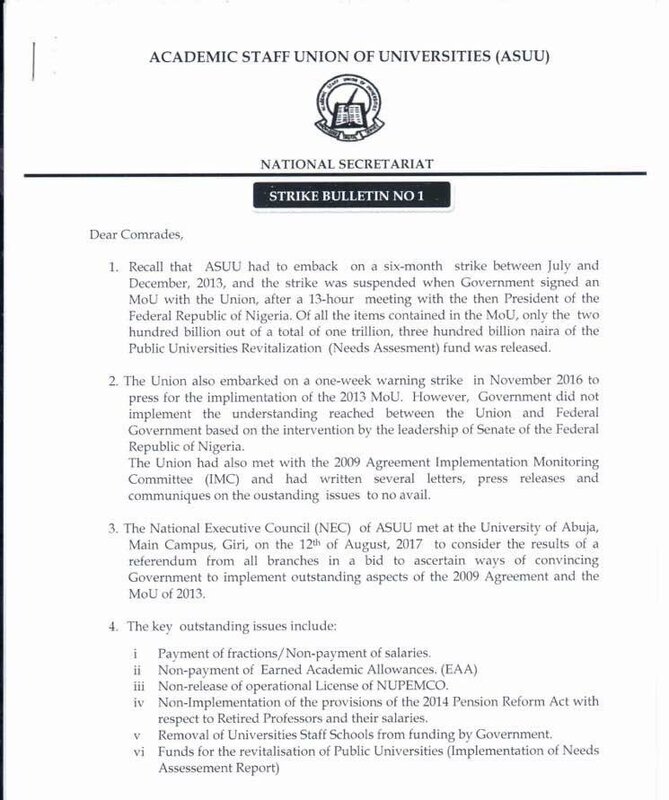 Other reasons listed for the strike include non-payment of salaries, non-payment of earned academic allowance (EAA), removal of universities staff schools from funding by government and non-implementation of provisions of the 2014 pension reform act with respect to retired professors and their salaries. The memo warned lecturers not to supervise any examinations nor go to class to give any lecture.